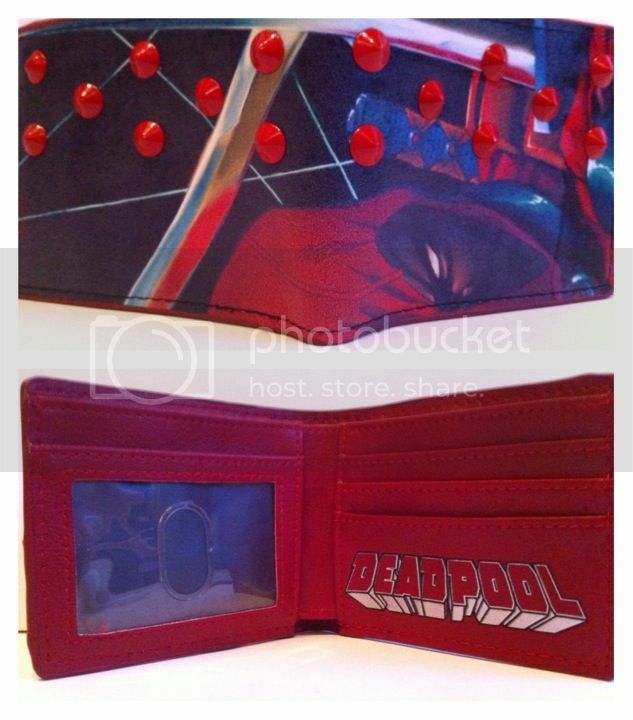 Rare Canadian RedFoil variant Marvel Legend Deadpool popped up on eBay. Low starting price. Australian Rare 4 Comic Variant Marvel Legends Deadpool. 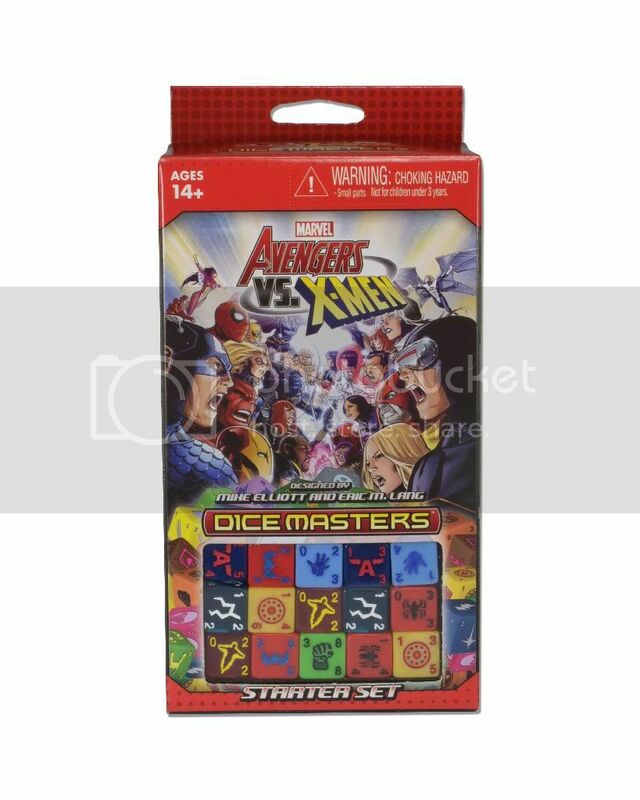 WizKids has released a new game, Marvel Dice Masters. 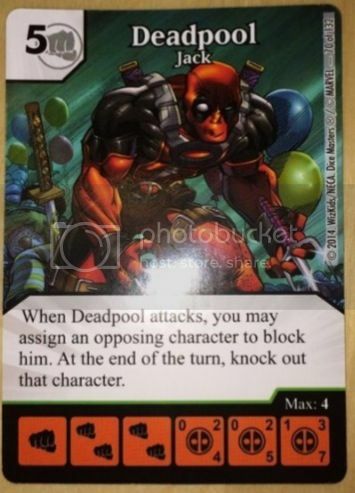 Deadpool has three cards. They have started showing up on eBay. That watch is badass. I'm not a big fan of the angry white eyes deadpool logo though, I wish they would make more products using the other variations. 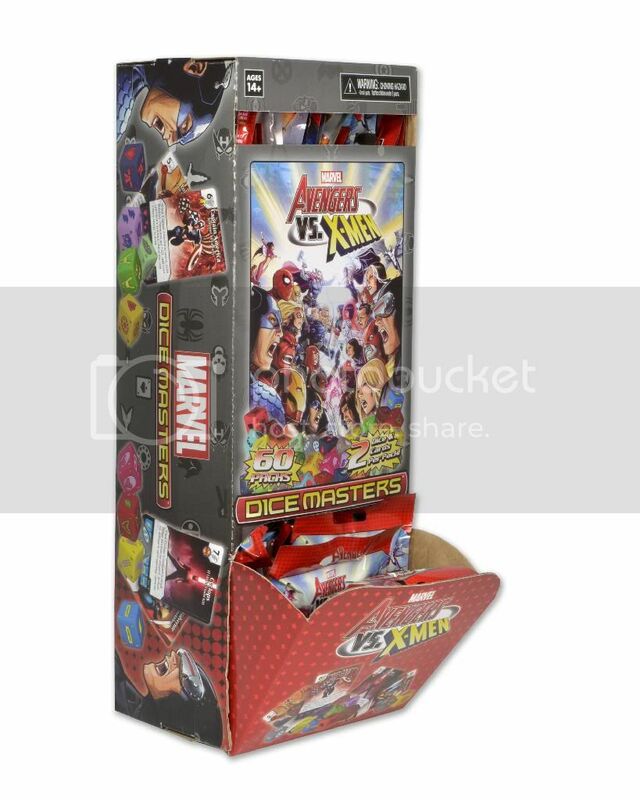 PoolFan wrote: WizKids has released a new game, Marvel Dice Masters. 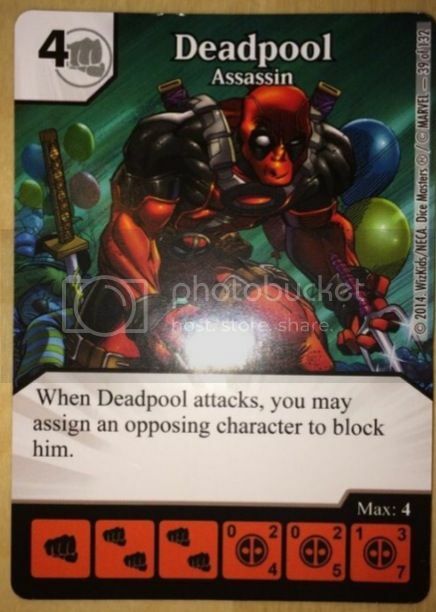 Deadpool has three cards. They have started showing up on eBay. 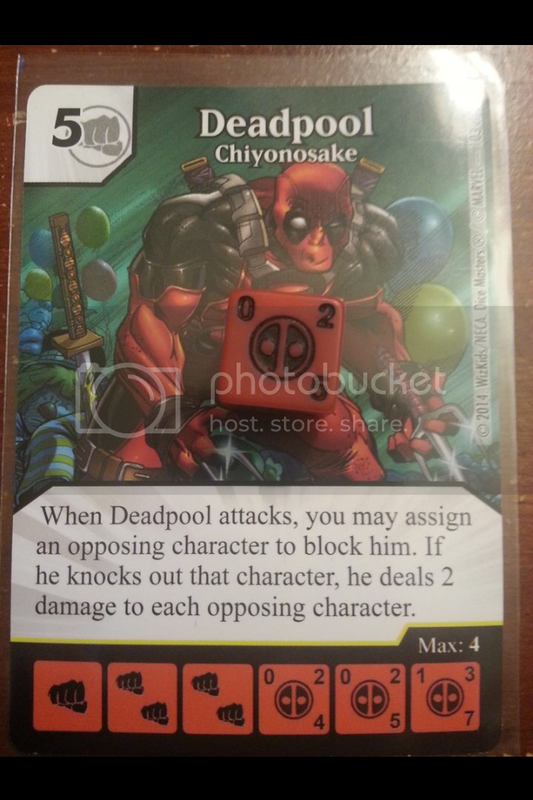 I believe they have physical deadpool dice in this game as well, I think I remember that being mentioned in someone's description of the product on eBay. slayve wrote: That watch is badass. 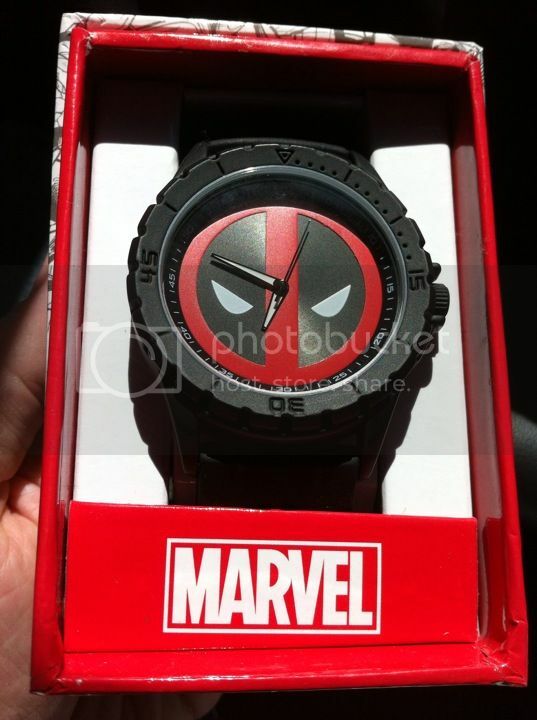 I'm not a big fan of the angry white eyes deadpool logo though, I wish they would make more products using the other variations. 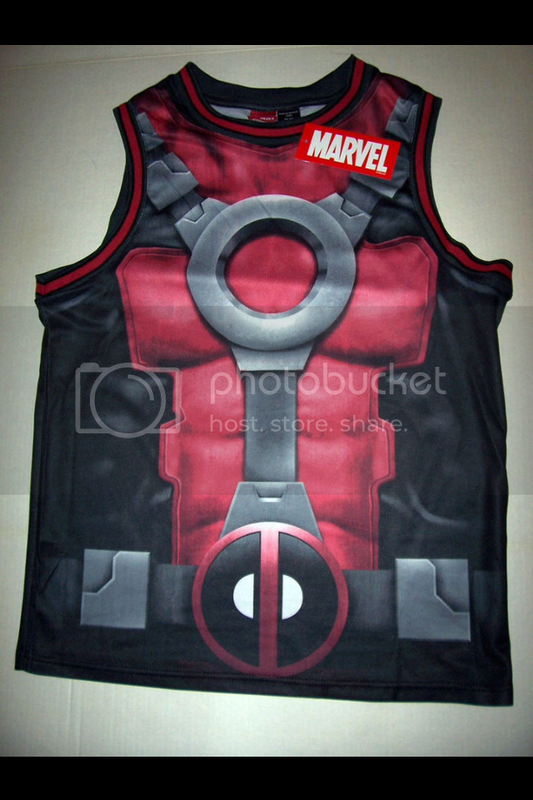 I'm with you on the Logo but I think this is the new licensed Deadpool look. If you look closely at the pics of the cards above you will see the DP die sitting on the card. I got one die with each of the three different cards I ordered. Found this new wallet at Hastings. $16.99. 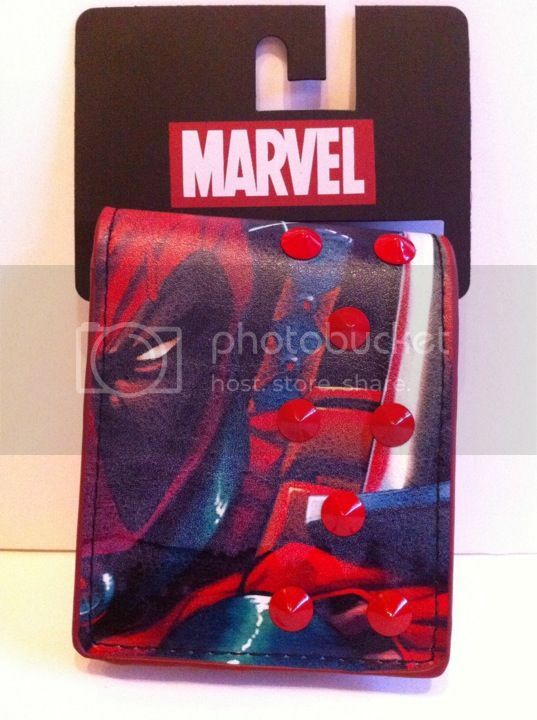 I don't know who would want to carry a wallet with plastic nubby spikes on the outside. It's annoying just holding it. 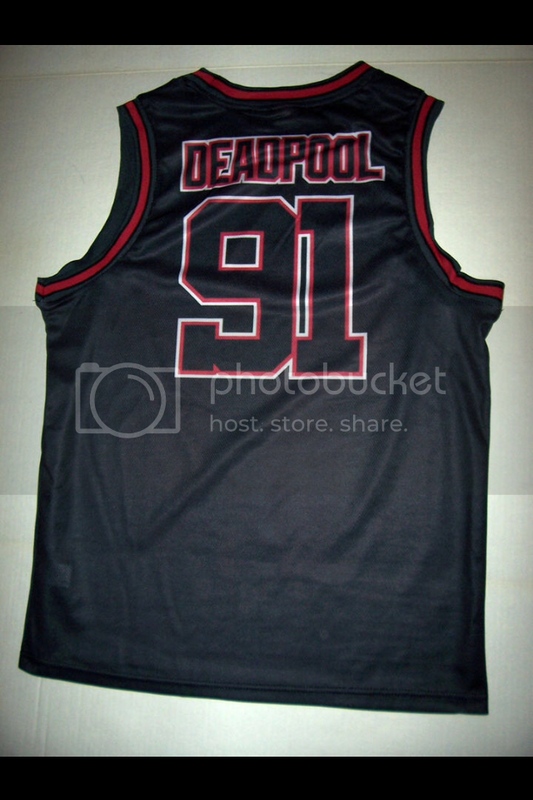 Found this new DP basketball jersey at Wal Mart.